Brass Rail from us is available in many sizes and TARNISH FREE Finish. Obtain your Brass Rail here today. 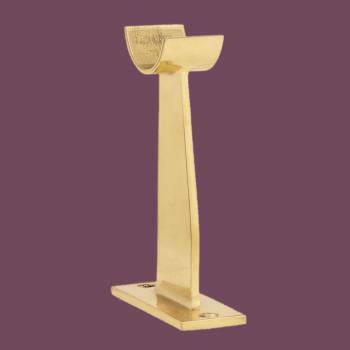 Bar Bracket: Create a stylish railing system with our wide selection of bar brackets. Quality commercial grade fittings are ideal for balconies, stair rails, dance bars, bar rails and guard rails. 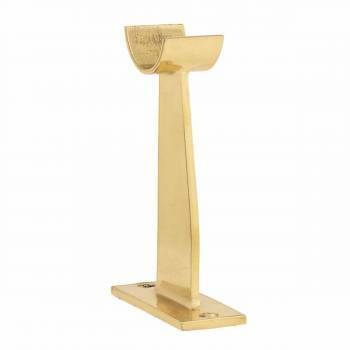 Made of 100% solid brass this railing bracket has a polished finish which requires some maintenance to keep a bright polished look. 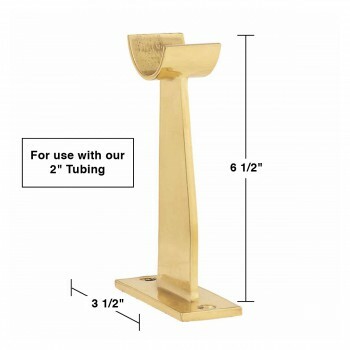 Fits tubing size 2 in. diameter.